I was walking around Fort Lauderdale beach today location scouting for the “Like Me” Music Video. I went into Beach Place to see if there would be any ideal locations to shoot in there and I see a crowd of people and hear loud techno music so of course I get curious and go check out what’s going on. 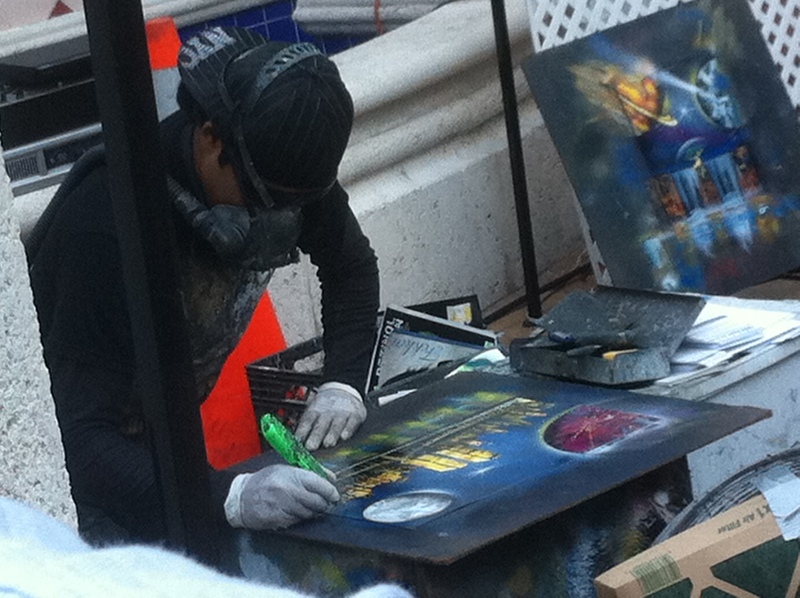 I see this guy spray painting a canvas and lighting it on fire, putting out the fire and re-spraying it. It was pretty amazing to watch so I stood around even though my parking meter was running and I still needed to swing by 2 other locations! This guy put on an amazing show! The best part was that he would spray all of these colors, and then spray black and blue all over it and cover it up so everyone was wondering what was going on. 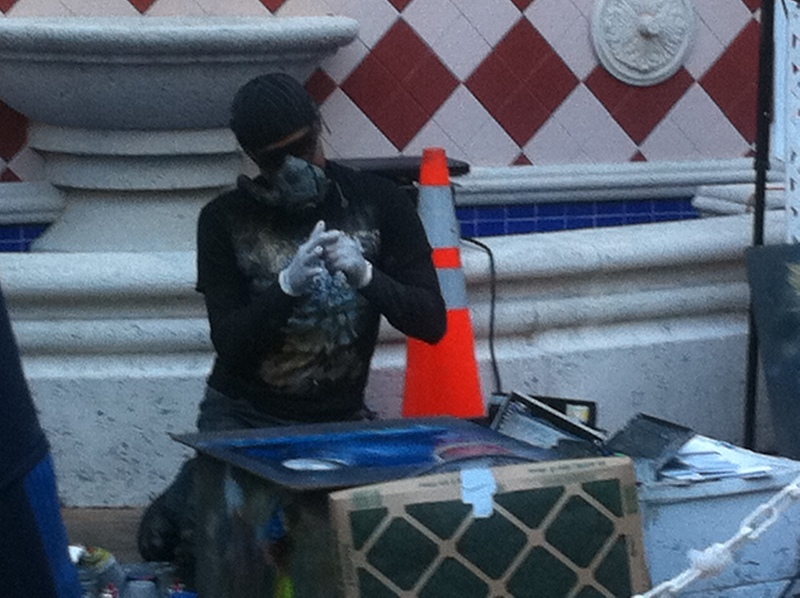 Then he would take a razor knife and a spackel knife and reveal those colors behind it! The end result was a beautiful painting of the World Trade Center! The artists name is Enrique Morales and you can reach him via email at emoralez2010@hotmail.com … Art is life! 2011 is starting to look pretty good with a few projects lined up and a few underway! I am directing a short film called “There Goes The Neighborhood” written by Jason Gallotti. Rehearsals are this coming Sunday and we will be shooting in about 2 -3 weeks! It’s another short comedy so it should be a lot of fun to shoot! I’m also shooting the “Like Me” Music Video for Stan Da Man in 2 weeks down in Fort Lauderdale, FL! This will be my first shoot using my Canon Rebel T2i to do HD Video and I’m very excited to test it out! After that I got 3 other short films lined up that Jason Gallotti has written! Also, I will be working on the second draft of my latest film that I wrote with my friend Jordan Wapner “:Prefer Not To Say” sometime in the next week! I believe we wrote a really fun screenplay and the second draft will only be that much better! Please “LIKE” our film “:Prefer Not to Say” on Facebook at: http://www.facebook.com/pages/Prefer-Not-To-Say/119827934732531 AND Follow us on twitter at: http://www.twitter.com/PreferNotTooSay … Other then that I’m always looking for new projects so lets get something going!